A traditional soccer club symbol, the shield maintains a connection to our long history in the Rogue Valley. The stripes echo the chevrons in the Portland Timbers™ crest and our affiliation with adidas®. They represent our strong heritage, dynamic present, and bright future. Our passion for excellence in soccer is reflected in our Rose City alliance. 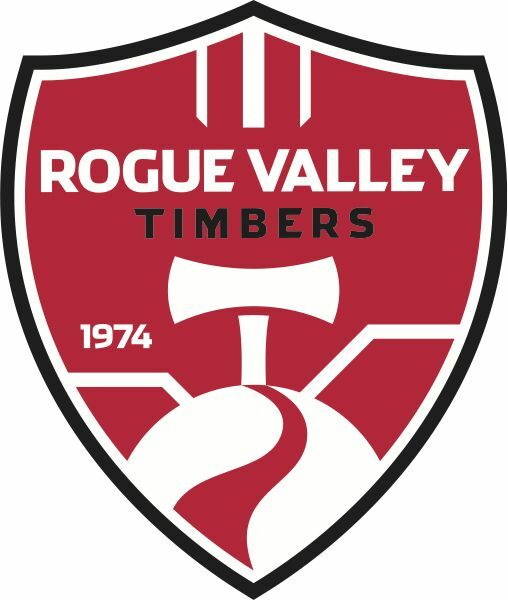 Originally founded as Rogue Valley Soccer Club, we are proud to be one of the oldest soccer clubs in Oregon. The Upper and Lower Table Rocks are iconic landmarks that offer rewarding panoramic views of our region. We are honored to be affiliates of the Portland Timbers™. The name pays homage to the logging industry that was foundational to the growth of the Pacific Northwest. The majestic Rogue River traverses our valley and represents a pathway to excellence, a continuum of development within the Portland Timbers™ soccer program. We have adopted the imagery of the Portland Timbers™ axe with enthusiasm. The strength, sharpness, and work ethic it embodies are characteristic of all we strive to do.